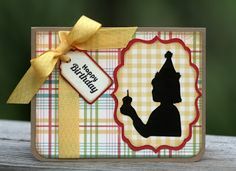 The Cricut A Child's Year cartridge features silhouette images inspired by Scherenschnitte, which translated from German means "scissor cuts", and is a popular art form typically referred to as papercutting. The beautiful designs on this whimsical cartridge are by paper artist Sharyn Sowell. 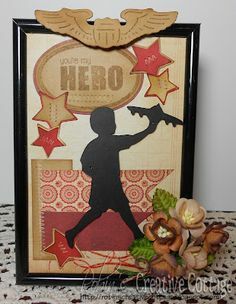 The die cuts focus on the sweet, innocent moments of childhood. 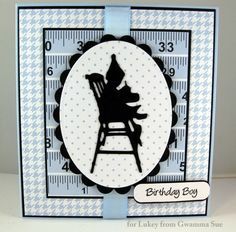 You will find a picture depicting a sample of the types of die cuts you can make at the bottom of this page. 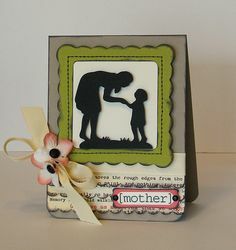 Use these beautiful cutouts on your scrapbook layouts and handmade cards, or mat and frame them for custom artwork that is eye catching yet inexpensive. Although the designs are intricate, your Cricut machine will do all of the difficult work, creating papercut designs in seconds that would typically take hours to make if done by hand. Another advantage to these particular designs is that they require no layering - they look beautiful without requiring a lot of paper piecing. Using the shadow creative feature, the main cutouts will really stand out. A font set, with monograms, is also included as part of the creative features on the Cricut A Child's Year cartridge. Icon, card, and tag round out the remaining creative features. Following are a few project ideas using this cartridge. For even more ideas, click on any images to visit my Pinterest board.